Like most travelers who want to taste the breathtaking experience of witnessing the best sunrise of Mount Bromo, you may decide to go for the sunrise via Penanjakan. For you who want to go for it, the following information will be a lot of help for you. So, let’s check this out! It’s no secret that tour sunrise Penanjakan Bromo is so popular to get the best sunrise view in Mount Bromo. For you who want to take part in the tour, you can stay in Malang, Probolinggo or Surabaya before you start your adventure to the Mount Bromo area. Most of travelers will come to see the sunrise via jeep. It is actually another highlight of the trip since it will provide you such amazing experience of taking on a jeep through the spot that offers such breathtaking view. Then, how can we get the best thing that we have expected? To get the most of your trip, here are some of the best tips that you can follow. The view is surely worth waking up early for. To get the best view of the sunrise, it is highly recommended for you to wake up early so that you can stop by on some possible spots along your journey. Moreover, it will be a perfect strategy so that you can get the best spot before all the crowds arrive in the spot. 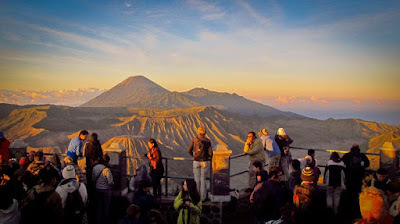 It’s no doubt that tour sunrise Penanjakan Bromo goes get very crowded for sunrise. There is always a big crowd waiting for you in the viewpoint. For the best experience, it is highly recommended for you to go for the tour in weekdays. It is usually not as packed as weekends and the rate can be lots cheaper too! For your own convenient, it’s recommended for you to wear a windbreaker and minimally two layers of clothes. This is because the wind in the viewpoint will be so cold and harsh, so it is better for you to wear something that can warm up your body. In addition to the clothes, don’t forget to wear a comfortable shoes too since you may need to walk along the trek or move around. If you want to hunt for such beautiful pictures, it is truly recommended for you to not wait at the benches only since your view will be blocked later on. Instead, you can walk around and select a railing near to the pillar so that it can be a good spot to stand your camera for shooting such a great photo. 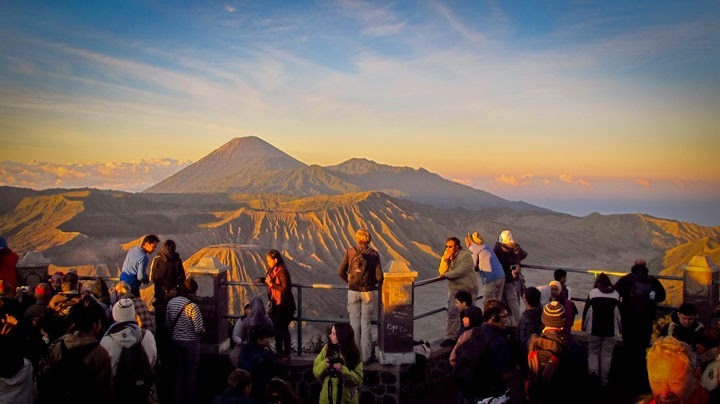 That’s all some of the best tips to get the most of your tour sunrise Penanjakan Bromo. If you need the best tour provider for witnessing the wonderful sunrise of Mount Bromo, visit www.jogjabromotour.com and you will know why we are the best one around. Good luck!